Just a couple of weeks after it raised $1.2 billion in a round of funding that valued the company at $40 billion, Uber has announced that it has entered into a partnership with China-based search engine Baidu. Under the terms of the agreement, which was announced at a signing ceremony at Baidu headquarters in Beijing, the Chinese company has agreed to make an investment in Uber. Although the amount of the investment was not disclosed, rumors are that it could be to the tune of $600 million, giving Baidu around 1.5 percent equity in the ride-sharing startup. “Uber’s rapid growth in the last four years is testimony to the tremendous demand for easy, reliable, and inexpensive transportation. We’re delighted that we can work together to help meet that demand—and we’re excited by this pioneering strategic partnership between a Chinese and an American Internet company,” said Baidu Chairman and CEO Robin Li. 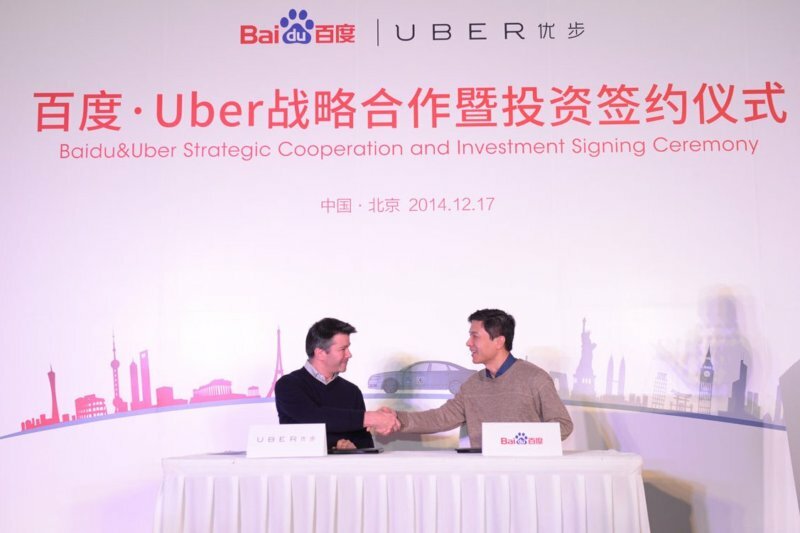 In addition, the deal will also enable the integration of Baidu Map and Mobile Baidu, which have 240 million and 500 million monthly active users, respectively, with Uber's service. Uber currently operates in nine cities in China, including Beijing, Shanghai, Tianjin, Chongqing, Shenzhen, Guangzhou, Wuhan, Chengdu, and Hangzhou. The partnership will not only help the California-based company boost its presence in the Asian country, but it would also help it maintain a good rapport with the authorities given the fact that Baidu is already in the good books of the Chinese government. Over the last few weeks, Uber has been in the news for all the wrong reasons. Just last week, the service was banned in Thailand, Spain, as well as in New Delhi, India, and was slapped with lawsuits by the city of Portland, Los Angeles, and San Francisco.